Tips for going solar and adopting solar powered gadgets for your home. Switching to solar PV or to solar panels is becoming the trend everywhere in the world because of the unpredictable costs of conventional energy and fighting climate change. The effects of climate change has caused us to think of new technologies that can be used to produce energy in an environmentally friendly way. Solar photovoltaics technology has advanced to a level where we have solar technologies that can be used at home such as solar powered battery charger, solar outdoor lighting and other solar gadgets that are used to increase energy efficiency or manage energy at your home or business by utilizing free energy from the sun. As a result, many homeowners want to know the tips for switching to solar panels and here are some helpful solar energy tips on how to switch to solar while determining the cost of solar panels for home. Because solar panel efficiency and quantity of panels are huge factors in how much power you’ll be able to produce, consider conducting an energy audit first so that you can determine the exact number of panels you need and hence save money. Do your homework well and derive through your calculations how to get the most out of the solar panels. It is better to invest in the most efficient panels even if it means purchasing less panels first and then progress slowly until you have all the panels you require to solar power. Shopping for the most efficient solar panels in the market will help you to save money and get the best out of your solar power. Check all your options and you can shop here for DIY Solar Kits or shop for Solar Panel Kits From LG, Amerisolar, Suniva & More At GoGreenSolar.com — Shop Now! Shopping for the most efficient solar panels is extremely important, especially in locations with cold weather and clouds and it is the best thing to do since modern, high efficiency panels can produce plenty of solar electricity even with limited sunlight. This has been proven because people living in such places still claim that they are getting the most solar energy even on cold weather and cloudy days. Also, looking for energy efficient appliances so that you can solar power your home will reduce your household energy demand and hence require less solar panels to solar power your home. For instance, use of a solar powered fan for your attic is a good choice if switching to solar power is not feasible. Solar powered attic fans have temperature sensors that will turn your fan on and off automatically based on the attic’s temperature. Hence, you will use less heat in your home and thus decrease your cooling costs which translates to reduced energy bills from your utility. See the banner below and grab your solar powered fan for your attic to save money and energy. Starting with the low hanging fruits is the best way to gosolar and in this case starting with the areas that are easiest to convert, for example starting with small appliances, can help a lot and it doesn’t have to cause any disruption in your daily routine. It is better to change things one step at a time and have a plan in place to support you to gosolar. There is a range of solar appliances that you can purchase, solar generators, solar powered battery charger, solar outdoor lighting and solar panel backpack etc. It is best to install the solar panels in specific areas where you will increase their potential for converting sunlight to solar electricity. This can be done by regularly checking the area around your solar panels to check for trees or large bushes that might block the sunlight from hitting your solar panels. When you are interested in a particular solar panel, determine the model and the date of manufacture of the solar panel. You want to make sure you have the new model of the solar panels, especially when some vendors are still selling the old technology. The trade-off is that you may buy the old technology cheaply, but may not be as efficient as a newer model. Newer solar panels are much more efficient than older ones, while the older panels are cheaper. When it comes to solar panels, size is not everything and there are many aspects of the panels that affect their quality, including wattage, the materials it is made of, and warranty. It is better to consider all these factors when you are making your purchasing decision. To ensure that your system is running well and efficiently, get your solar system checked at least two times per year. Maintenance will run checks on connections, adjust angles if need be, and make sure the system is performing well. It is important to take stock of shade around your home when considering solar power. If your home is in the shade, solar might not work for you because it will reduce the amount of sunlight that could be taken in by your solar panels hence reducing performance. Consider all the factors of going solar, including the brand, wattage, size, warranties and quality before deciding which solar panels will work for you. Solar panels differ because of these factors and doing your homework well will help you to an make informed decision based on these parameters. When buying solar panels you want to buy and think about quality instead of cost. At the end of the day, you want the best for the best price. Sun trackers automatically shift the solar panels to the best angle for capturing sunlight and hence they are used to maximize solar electricity output for your system. Sun trackers cost a bit more, however efficiency in the long-term will save you more money. 10. Consider use of solar power purchase agreements (solar ppa) and install solar for free. Today switching to solar is straight forward and to make it even simpler, going solar today with no money down and enjoy free electricity from the sun. With SPPA, and solar lease you don’t need to purchase the solar panels yourself if you want to switch to solar. 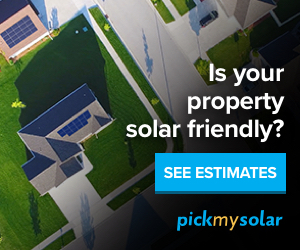 Learn how you can switch to solar today while at same use this solar panel cost calculator to time determine the cost of solar panels for home and where to get certified solar contractors to install your solar panels. Solar energy is free in the long-term and has many economic and environmental benefits. Solar energy options provide ample, reliable power while being gentle on the environment. The sooner you start using solar power, the better. You will be happy you did and the planet will be happy too.